With a 3:1 CBD to THC ratio this cartridge is perfect for a mellow, relaxed, and euphoric experience. Great for reducing the stresses of life, while providing your taste buds with a trip to the tropics. 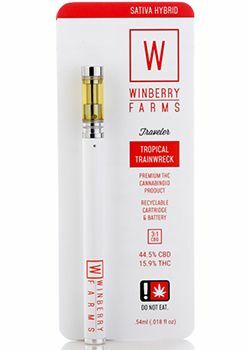 This cartridge will send you into a world reminiscent of old-timey tropic bubblegums with each fruit filled rip! A great way to start the day, or perfect for when you want to focus what is in front of you and let the rest of the world melt away.